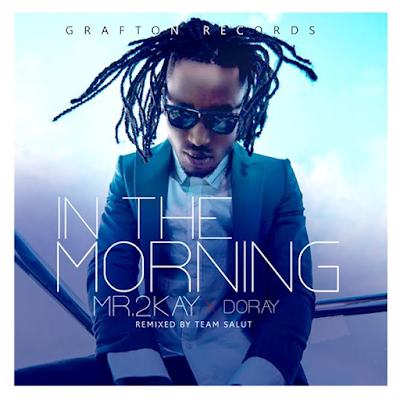 Pop sensation, Mr. 2Kay is about to take his fans and music lovers on a pleasant ride of musical bliss as he drops the Afro-pop version of his song titled, "In The Morning", one of the fans favourite tracks off his 'Count It All Joy' EP. This lovely rendition was remixed by UK based producers, Team Salut and features fast rising act, Doray. "In The Morning" is a love song that talks about a man who never wants to be away from his lover and always wanting to wake up to her beautiful face every day. 2Kay's irresistible vocals further accentuate the sensual feel and message of the song. Following the premiere of the single on BBC XTRA1 RADIO UK, CAPITAL XTRA, and BEAT FM LONDON, the anticipation for the wide release of the song has grown so much that it had to be served very hot right now. The Grafton records signee certainly knows how to feed his audience with great music and he maintains that there are even greater songs coming in the near future.